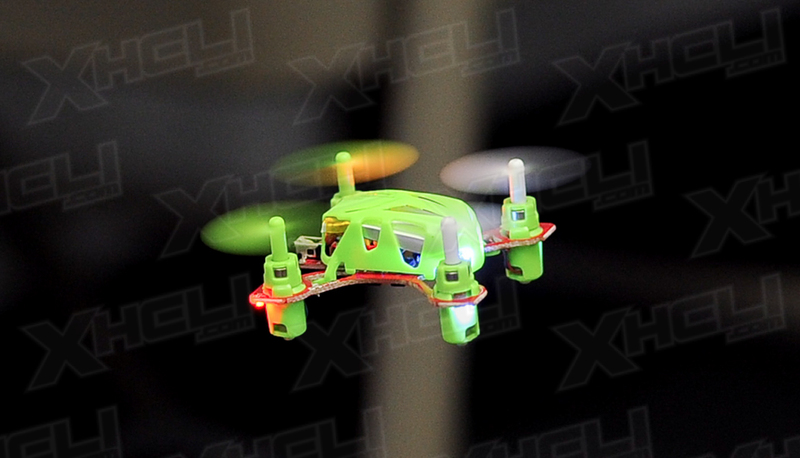 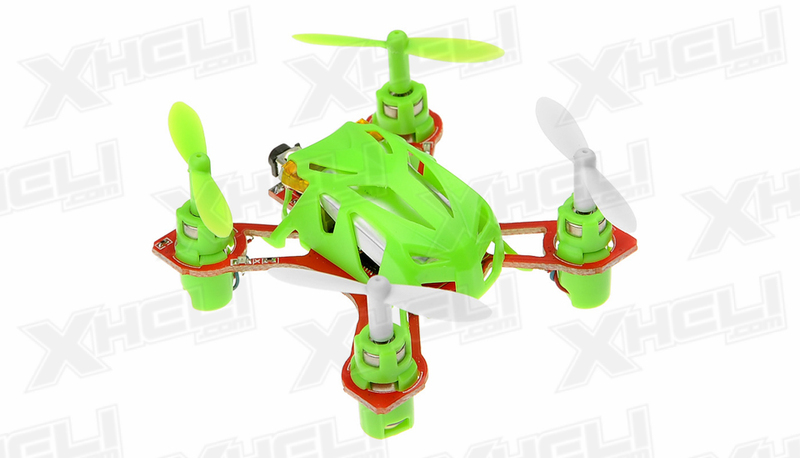 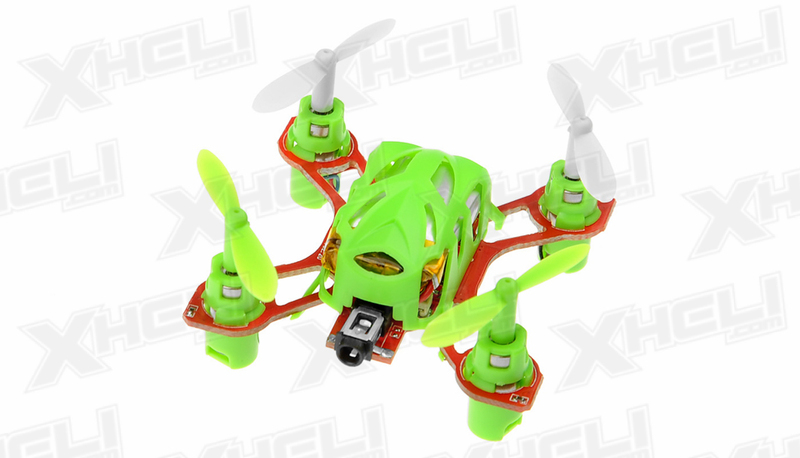 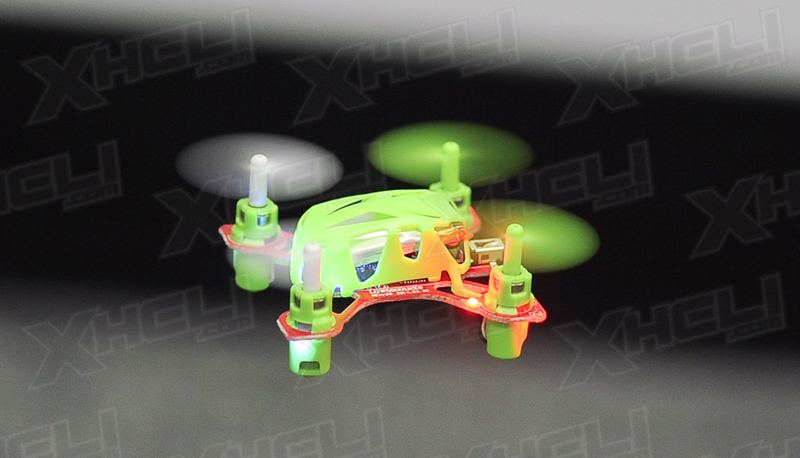 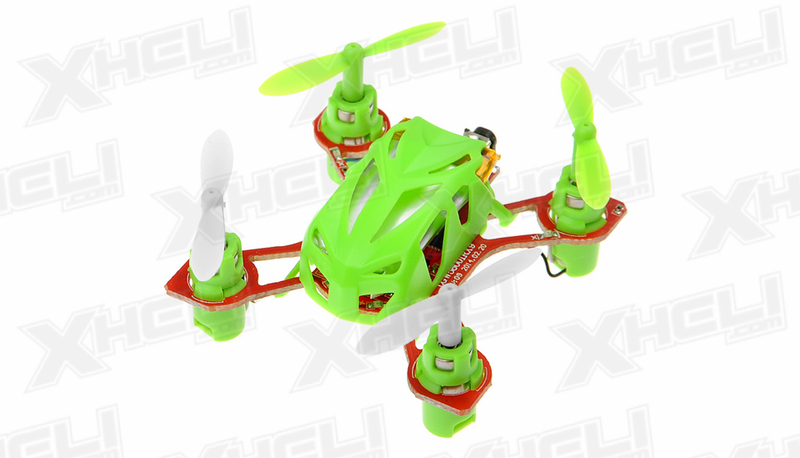 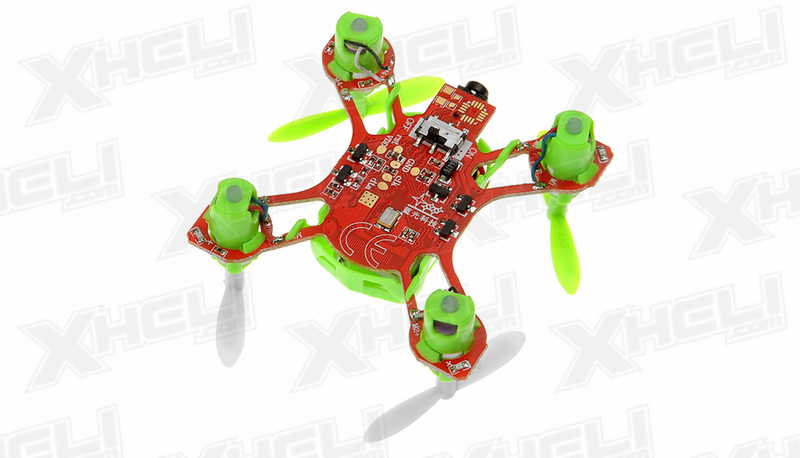 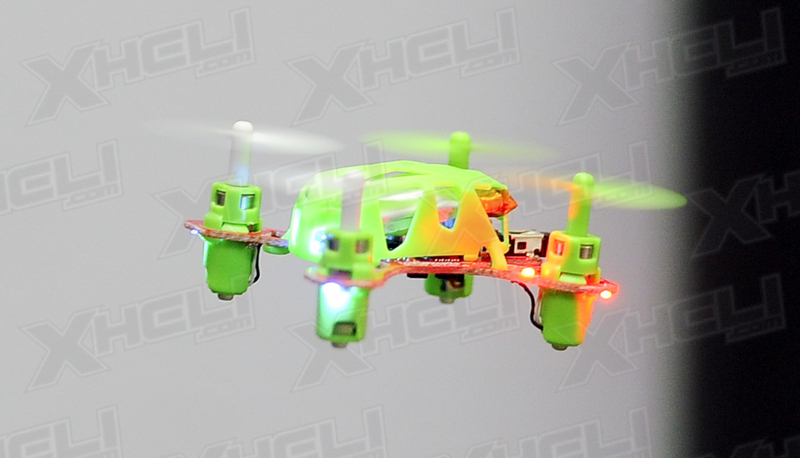 This WL Toys V272 is one of the world�s smallest quadcopter, its mini and light weight design makes it very portable. 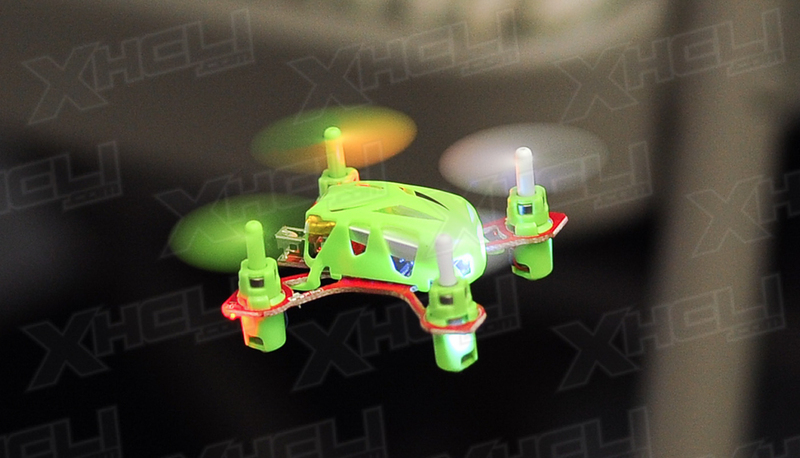 You can virtually take it any and everywhere. 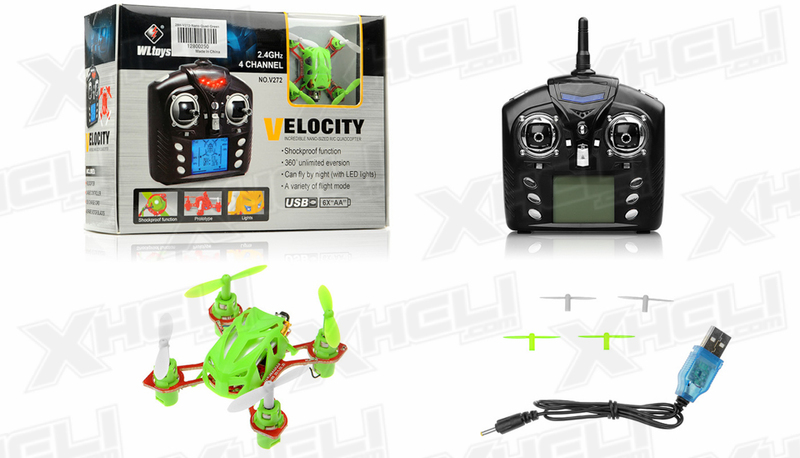 �The V272 quadcopter can be bound with any WL Toys V222/V202/V212/V262 transmitter. 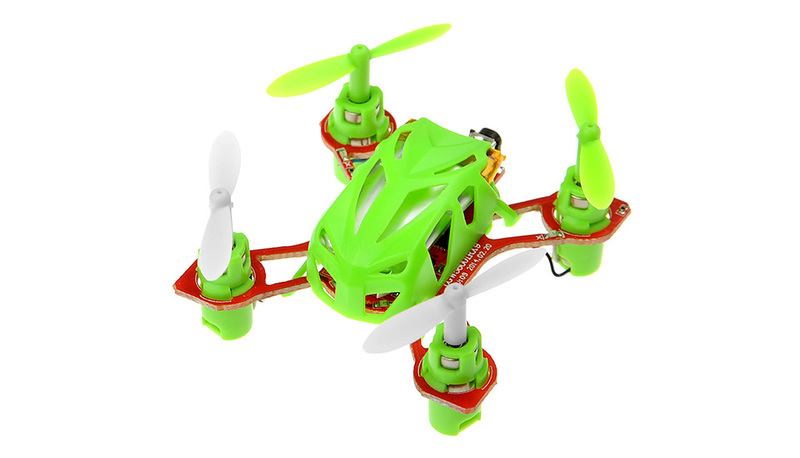 The V272 features a 6-axis system that allows it to be very agile and maneuverable.� Its built-in GYRO system allows the quad to be super stable. 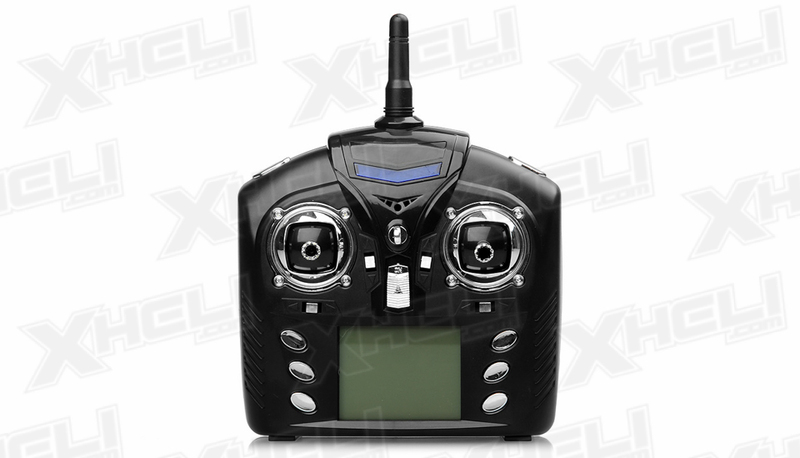 The full scale remote control is very ergonomic and will fit the hand of most users. 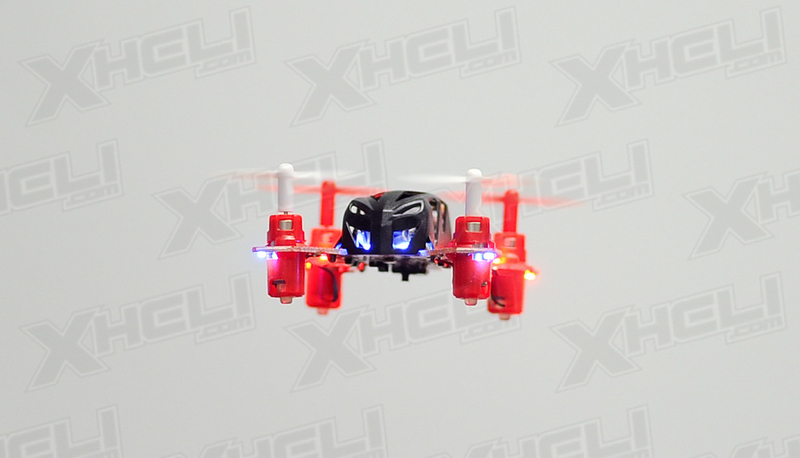 The V262 is capable of doing super tight flips at a press of a button. 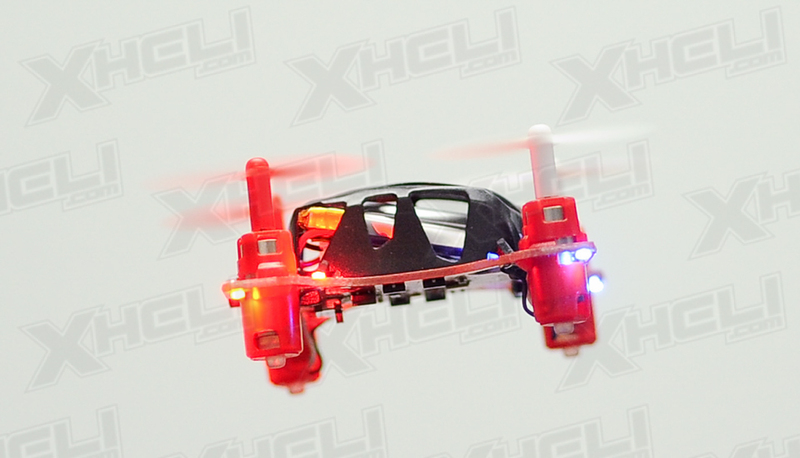 The included USB cable makes charging super convenient. 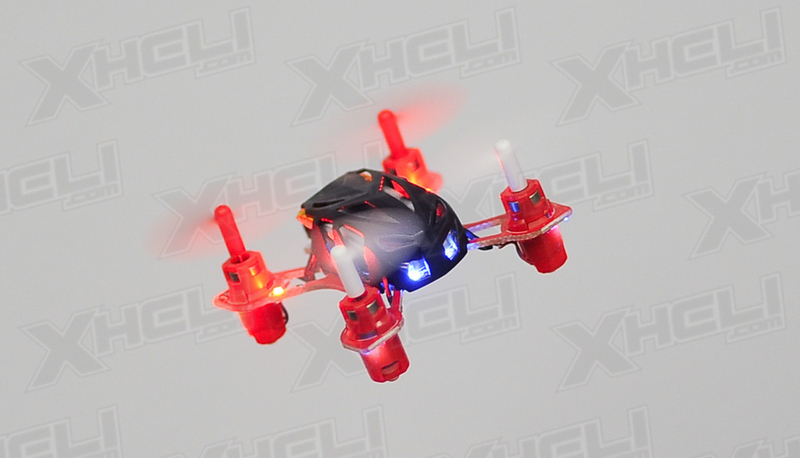 There are a total of 8 LEDs on the unit so it�s very easy to know the orientation of the quad. 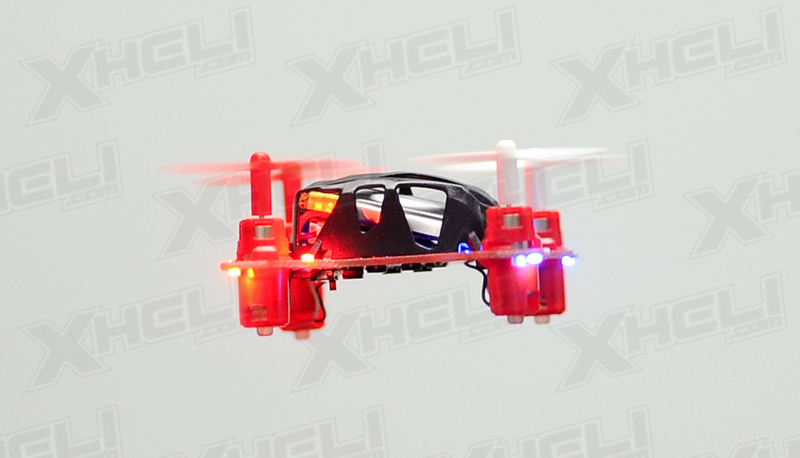 You can also turn the LEDs on the rear of the quad off with a press of a button on the transmitter. 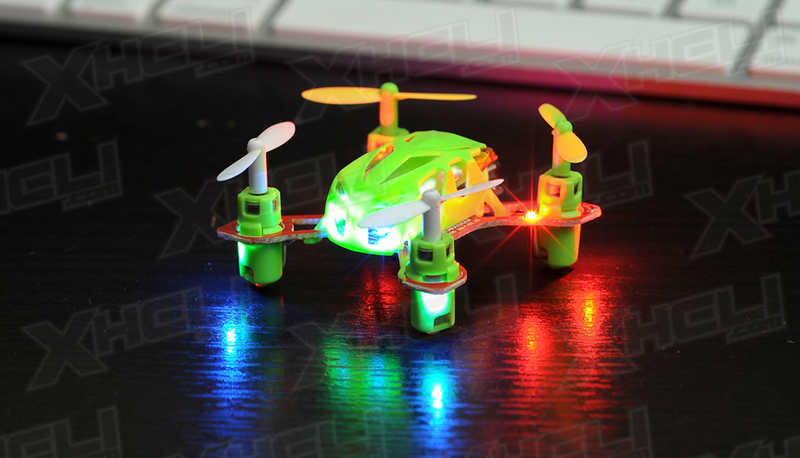 Due to its small size it�s recommended for indoor use only.